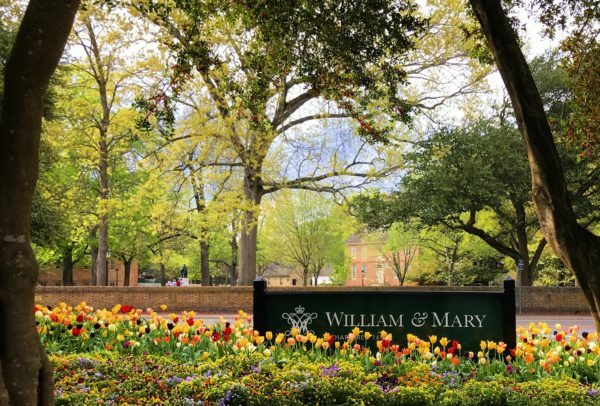 This August, for the first time in a few years, I won’t be returning to William & Mary. My studies are complete, so I no longer have a reason to be in Williamsburg. 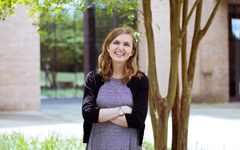 Before I left campus in May, I ventured to the dock at Lake Matoaka, whispering a thank you to the university where I was able to learn so much. I knew standing on the dock that I wouldn’t be coming back to William & Mary in the fall, but I don’t think the fact really hit me until recently as I’ve seen different people begin to prepare to go to college. My younger brother just moved into college, and I’m looking forward to what’s in store for him. At the university through which I’m now employed, I’ll soon be welcoming freshmen to campus, which is also exciting. And through social media, I see William & Mary’s posts about its own incoming freshman class. Yet even though I won’t be in Williamsburg during move-in, I’m confident that this new class will feel welcomed because I know faculty, staff, and students who will help incoming freshmen see how William & Mary can start to feel like home – a different home than one’s hometown, but a home nonetheless. A picture I took during my last semester at William & Mary. My William & Mary Department of English sweatshirt, which all my friends know and love because I wear it so much. A glass William & Mary paperweight from my graduate assistantship supervisor. My William & Mary degrees hanging on my office wall to remind me where I’ve come from and remind me to be confident in my abilities. A pair of William & Mary green and yellow striped socks my parents gave me. A plethora of pictures of William & Mary friends. Minimalists Joshua Fields Millburn and Ryan Nicodemus state, “Our memories are not in our things. Our memories our in us.” So when my sweatshirt becomes too ragged to wear, the paperweight cracks, I lose the two papers that signify my degrees (although I really hope this won’t happen), holes appear in my socks, and the pictures fade, I’ll still have the memories from my time at William & Mary – memories that have helped shape who I am today. Moreover, I’m excited for the new memories that will form during the coming year at my new job.